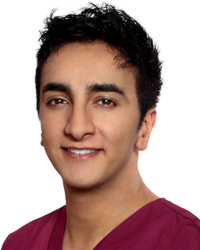 Kishan Raichura is doubly qualified as a Medical doctor and a Dental Surgeon. He has spent many years since working in Oral and Facial surgery across the UK. He is passionate about delivering anti-ageing treatments such as wrinkle relaxing and filler injections for the most natural and vibrant results. He keeps his practice in line with modern techniques to ensure he provides you with the best possible care.